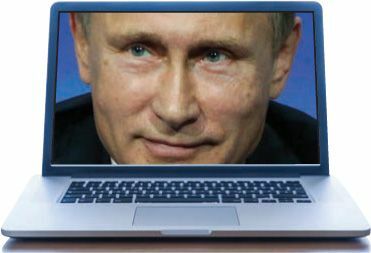 Vladimir Putin’s regime is weaponizing the internet to sow chaos, confusion, and discord across the West. Disinformation and propaganda have been around for decades: Moscow has in the past successfully spread rumors that the U.S. government ordered the killing of Martin Luther King and created the AIDS virus to kill gays and blacks. But new technology has made the process of spreading false information infinitely easier. Russia now has its own 24-hour news organization, RT, broadcasting in more than 100 countries; its sister outlet, Sputnik, churns out propaganda in more than 30 languages. (Sample headline: “Everyone I spoke with in Crimea wanted to secede from Ukraine.”) These organizations, backed by hundreds of unofficial Moscow-sponsored blogs, twist or fabricate stories to fit their anti- Western agenda. Their global reach is impressive: Since its launch in 2007, RT’s YouTube channel has had 1.8 billion views—more than CNN’s. What’s being done to counter the Russians?